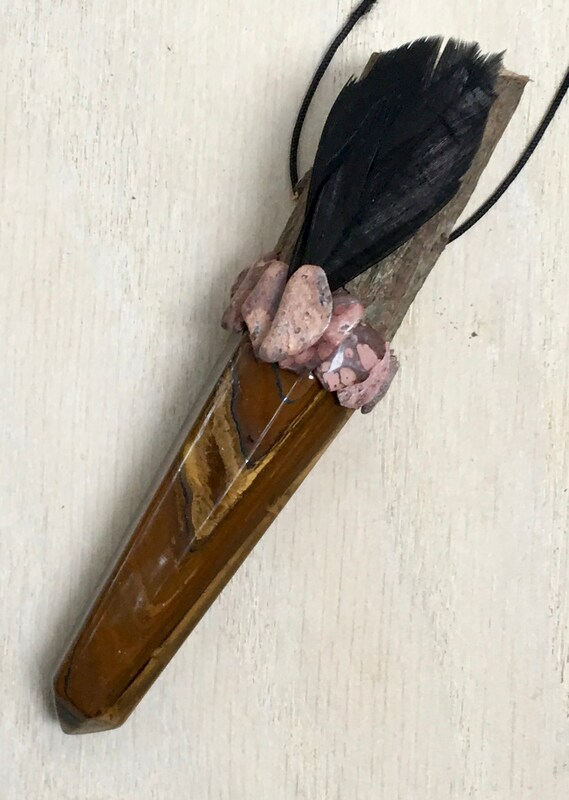 Encourages Integrity, Willpower, Clarity & Vision; Assists with Animal Communication & Deep Journeying; Offers Protection. 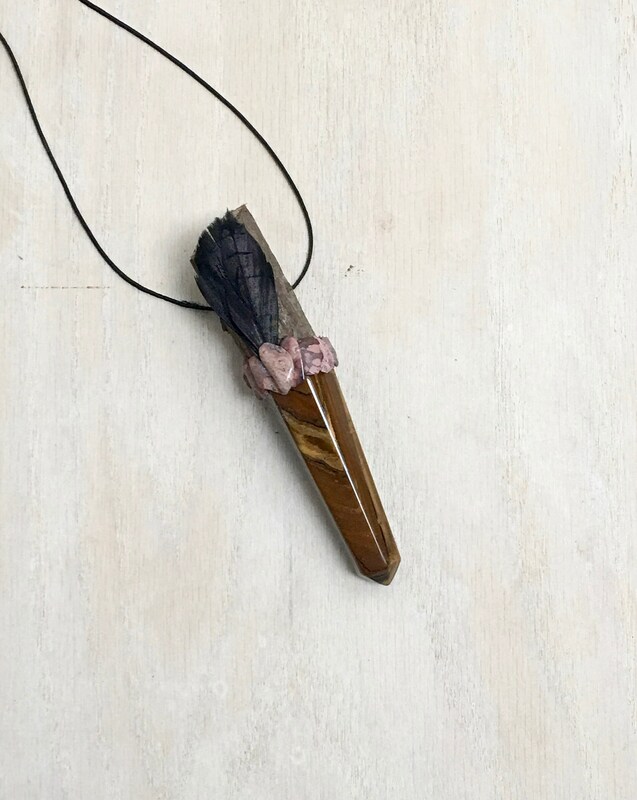 Tiger Eye - great for relieving scattered energies and keeps you grounded, encourages optimism and lifts your mood! Great for balancing on all levels and encourages you to open up to new experiences. Fosters confidence and ease in manifesting in the physical world, enhancing good luck and prosperity. Enhances integrity, willpower, practicality and the correct use of power. A very protective stone that is particularly grounding, boosts your Solar Plexus Chakra and help you to see clearly without illusion, giving the blessing of clear sight and vision; assists in transmuting limitations and fear. 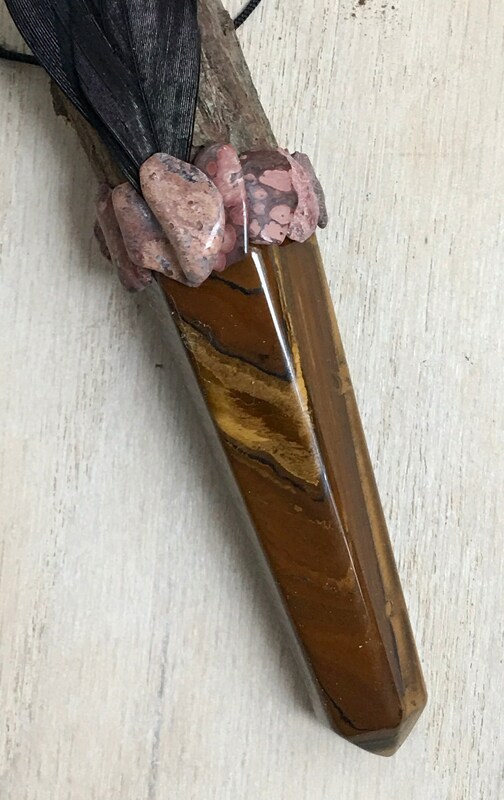 Leopard Skin Jasper (Jaguar Stone) - is a great stone to utilize when connecting/communicating with the animal kingdom, in both the physical and spiritual planes. 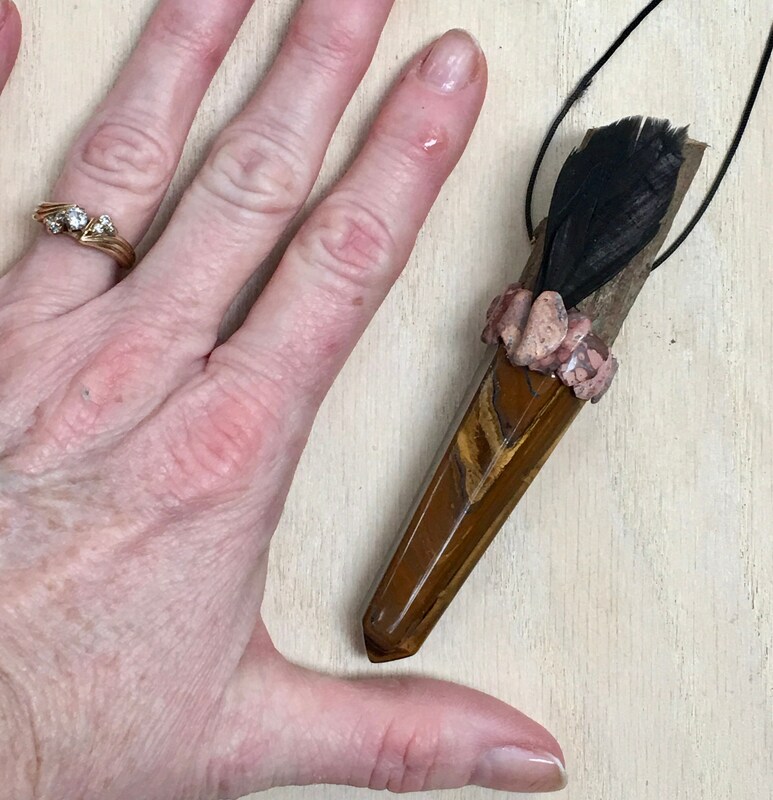 Is connected with Shamanism, helping to discover personal animal totems and learning how to work with them. Aides in out of body experiences and journeying. It is a powerful protection stone. Is closely associated with strength and vitality and brings stability to those who may be experiencing chaotic energies in this incarnation. Is known for attracting harmonious vibrations into one's existence. Is known as the “supreme nurturer”. It sustains and supports during times of stress and brings tranquility and wholeness. Used in healing, Jasper unifies all aspects of your life. Rooster Medicine - symbolizes personal strength, self-promotion, and recognition. Roosters are very assertive and proud to show off their lovely plumage. Roosters arrive to announce the dawn of a new day and with that the potential for new possibilities. Reminds you to be enthusiastic and positive and helps to reveal unseen abilities. 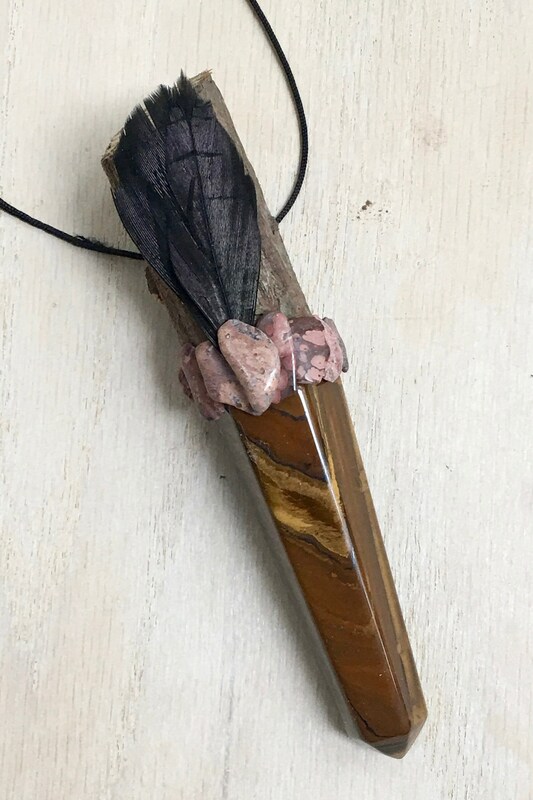 3.5 inches long; Tiger Eye 2.5 inches.